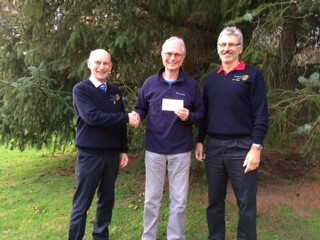 John had the pleasure of receiving cheques from the St James’s Place Charitable Foundation and the Rotary Club of Elgin, to further the work of Busega Scotland. The Foundation has donated £1000 to the Moving-on Project. This will allow our six mechanics graduates to attend a driving course and significantly increase their chances of employment. 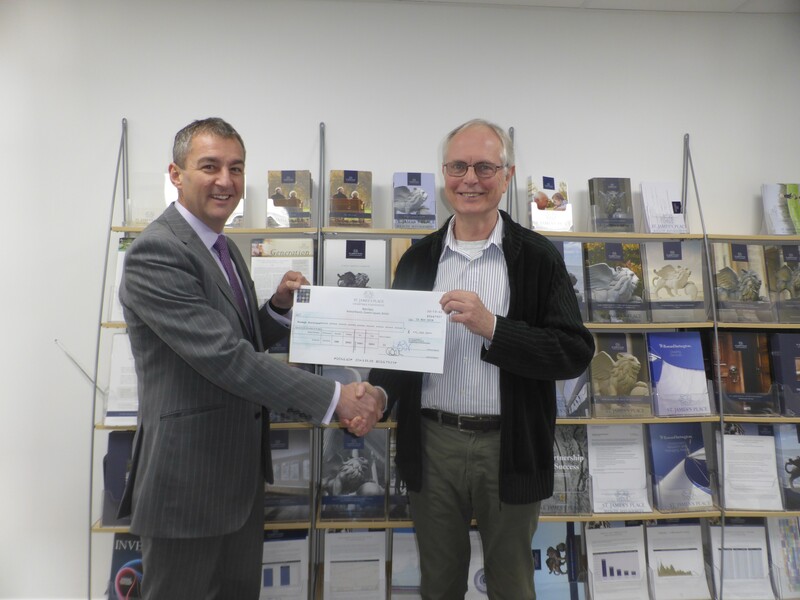 The cheque was presented by Andy Lees, who has a Partner Practice of St James’s Place Wealth Management. He is also a trustee of Busega Scotland. The Rotary cheque will progress the Mayega Water Project, with the construction of a kitchen at the Children’s Centre and further standpipes in the village. The donation, of over £5000, included contributions from Elgin Rotary Club and Rotary District 1010. The presentation was made by Elgin Rotary president George Duthie, with their International Committee chairman Ash Major in attendance. The students have started their driving lessons and some of the Rotary money has already been spent on materials for the construction projects. The site work will commence in the next week and completion is planned for mid-February. Busega Scotland thanks the donating organisations for the faith they have shown in Busega Scotland and for their support of vulnerable people in Tanzania.